Jack Richeson’s Premium and Toned Premium boards are quite simply the best panels (Gray, White, Brown) The surface on the white boards is rigid and brought to an eggshell finish. For working on studies and plein air there is simply no better substrate. At first I regarded the panel to be a little to absorbent, but once past my initial block in, it was extremely responsive to every brush stroke. Quite frankly there is no other panel I would paint on. In addition to the superb quality of these panels, the cost is something to really brag about. In comparison to other high quality boards, the Richeson panels take the prize being one of the most affordable solutions on the market. 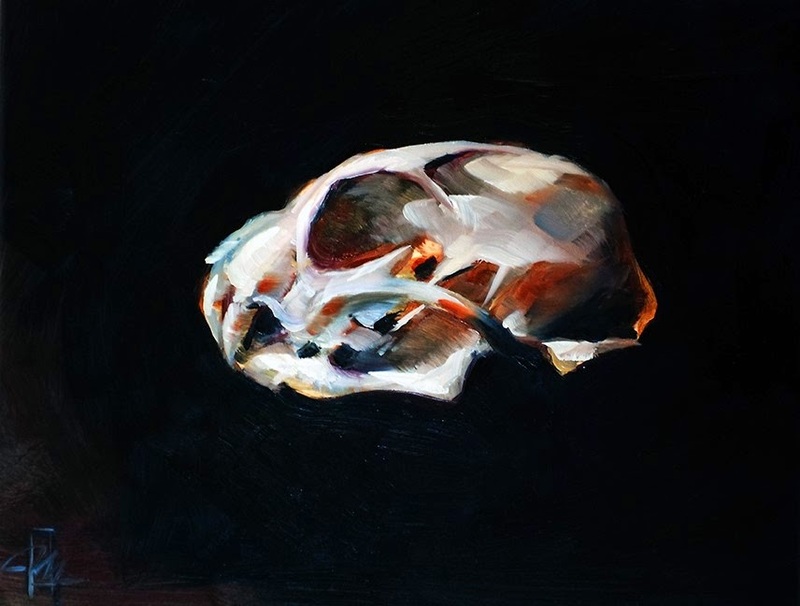 Cat’s Skull by Eli Minaya, 8x10 oil on Richeson Gessoed White panel. Swing by Art and Frame of Sarasota and take a look at the variety of sizes and tones Jack Richeson can offer you with these panels.